And thus the Oasis is open for bizness. Turn it on, crank it up, kick off your shoes and let the good times roll !! We are shutting them left and right – our coal is dirty coal and the Russians have clean coal – go figure! Just some more dumbass bullcrap from this administration and the EPA. Can you guys believe this? I thought we’re shutting coal mines here in the US? 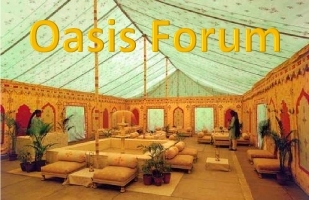 our webmaster and he will be doing some final ‘tweaking’ tonight and then tomorrow will be the day we send the invite letter in bulk and raise the public curtain on the oasis. wa-la or one can say……. The US Federal Reserve has begun to pivot. Monetary tightening is coming sooner than the world expected, with sober implications for overheated bourses, and for those in Asia, eastern Europe and Latin America that drank deepest from the draught of dollar liquidity. We can expect a blistering dollar rally, perhaps akin to the early 1980s or the mid-1990s. It is fortuitous that the BRICS quintet of Brazil, Russia, India, China and South Africa have just launched their $100bn monetary fund to defend each other’s currencies. Some of them may need it. America’s unemployment rate has fallen from 7.5pc to 6.1pc in 12 months. The country has been adding 230,000 jobs a month in the first half of this year. Since Fed chief Janet Yellen targets jobs above all else, this was bound to force capitulation by the Fed before long. It happened this week in her testimony to Congress. “If the labour market continues to improve more quickly than anticipated, then increases in the federal funds rate likely would occur sooner and be more rapid than currently envisioned,” she said. To some it feels like 2004, when the Greenspan Fed found itself badly behind the curve, suddenly switching from nonchalance in May to rate rises in June. “They may have left it too late again: the risk is a reckoning point when rates rise abruptly,” said Jens Nordvig, from Nomura. Mrs Yellen added the usual caveats about “false dawns”. Wages are barely rising. The jobs market is not yet drawing back the millions who dropped out of the system. The labour participation rate is still stuck at a 36-year low of 62.8pc, and at the lowest ever recorded for men. “The recovery is not yet complete. We need to be careful to make sure the economy is on a solid trajectory before we consider raising interest rates,” she said. Yet she has undoubtedly changed gear. She no longer dismissed rising inflation (1.8pc) as “noise”. She said share prices for biotech and social media companies were overheating, and that junk bonds were frothy. “Valuations appear stretched. We are closely monitoring developments in the leveraged loan market,” she said. The critics may be getting to her. The Bank of International Settlements has rebuked the Fed for stoking asset bubbles. Some of her own voting committee are fretting. “I think we are going to overshoot on inflation,” said St Louis Fed chief James Bullard. Mrs Yellen is not as dovish as believed, in any case. Her lodestar is the “non-accelerating inflation rate of unemployment” (NAIRU), the point at which tight labour markets start to drive a wage-price spiral. She thinks this is near 5.4pc. Her argument until now is that most of the jobless surge since the Great Recession is “cyclical and not structural” and therefore treatable by monetary stimulus. This is wearing thin. Skill shortages are cropping up everywhere. A Manpower survey of US firms found that 40pc are having trouble filling jobs. Total job openings have rocketed from 3.5m to 4.2m since January, the steepest rise in modern times. Quantitative easing has done its job, keeping growth alive as Congress and the White House pushed through the most draconian fiscal squeeze since the end of the Korean War. The economy did not fall back into recession, though it came close. It has achieved “escape velocity”, of sorts. Yet if America is strong enough to withstand rate rises, it is far from clear what this will do to the rest of the world. A vast wash of dollars flooded the global financial system when the Fed cut rates near zero and then bought $3.5 trillion of bonds. This may now go into reverse. We still live in a dollarised world. Charles de Gaulle railed against the “exhorbitant privellege” of US dollar hegemony in the 1960s, but remarkably little has changed since. The BIS says global cross-border lending by banks alone has risen from $4 trillion to $10 trillion over the past decade, and $7 trillion of this is denominated in dollars. This does not include the dollar bond markets. Emerging markets went into a tailspin last year at the first suggestion of Fed bond tapering. There was a sudden stop in capital flows. The “Fragile Five” (India, Indonesia, South Africa, Brazil and Turkey) were punished for current account deficits. The Fed backed down. The storm passed. There was a second “taper tantrum” earlier this year as the Fed finally began to pair back its $85bn monthly purchases under QE3. This too settled down. Those like India and Mexico that took advantage of the calm last Autumn to boost their defences were largely unscathed. Mrs Yellen has since recruited Bank of Israel veteran Stanley Fischer to be her number two, partly to navigate the reefs of emerging markets. However, that is not the end of story. A study by the International Monetary Fund concluded that the Fed’s QE had pushed $470bn into emerging markets that would not otherwise have gone there. IMF officials say nobody knows how much of this hot money will come out again, or how fast. The BIS in turn said in its annual report two weeks ago that private companies had borrowed $2 trillion in foreign currencies since 2008 in emerging economies, lately at a real rate of just 1pc. Loans to Chinese companies have tripled to $900bn – some say $1.2 trillion – mostly through Hong Kong and often disguised by opaque swap contracts in what amounts a dangerous carry trade. Countries do not borrow in dollars any longer (mostly) but their banks and industries certainly do. The report said monetary largesse in the West has destabilised emerging economies in all kinds of ways. One of the worst – and least understood – ways is that they were forced to choose between internal credit bubbles or surging currencies. Most opted for bubbles as the lesser evil, holding their domestic interest rates at 300 basis points below the safe “Taylor Rule” level. This has driven their total debt levels to a record 175pc of GDP. It may be even worse. China has thrown all caution to the wind, pushing credit from $9 trillion to $25 trillion since Lehman. Its debt levels have reached 220pc by some estimates. Officials at both the IMF and the BIS privately doubt whether China can extricate itself smoothly from this. Not all emerging markets are in the same boat. It is meaningless to compare Poland or the Czech Republic with Nicaragua. Yet there is no denying that a long string of countries are in structural crisis, ensnared by the middle-income trap. They have exhausted the low-hanging fruit of catch-up growth. They failed to carry market reforms to varying degrees. Productivity has wilted. Brazil, South Africa and Russia have all hit the buffers and all have a foot in recession right now, casualties of commodity addiction or the Dutch Disease. The outlook for Russia is utterly bleak. It has blundered into a conflict with the West that will smother investment for years, and it may have to draw down its reserves to cover $700bn of foreign currency debt unless it can tap the capital markets again. It faces demographic implosion. Now these countries – and many others with parallel problems, like autocratic Turkey under Tayyip Recep Erdogan – must brace for a secular rise in global borrowing costs, and as the BIS warns, the world is today more sensitive to interest rates than ever before. As yields on two-year US Treasuries ratchet higher, the US currency will inevitably ratchet with it. “I am convinced that we are close to a major cyclical recovery for the dollar,” said Nomura’s Mr Nordvig. The dollar did not rally in the tightening cycle of 2004 to 2007 but that was an exception, the result of the EMU bubble, as well as trillions of reserve accumulation by China and the commodity bloc, amid a feverish rotation into euro bonds. That chapter is closed. This time may look more like the traumatic episodes of the Volcker Fed, or the mid-1990s, both occasions when the world woke up to find the US had not spiralled into decline after all, and latterly was the only superpower left. The BRICS, the mini-BRICS and much of global finance have taken out a colossal short position on the US dollar. Mrs Yellen has just issued the first margin call. Thanks Wanka ! A No Biggie…. Congrats on making this new site available. Kudos to Weston, Job Well Done ! when our webmaster wwilliams thats his handle gets here for some final touches that the site needs. we started building the site effectivly in the first week of june between wwilliams other clients and now just finishing up. i told him no rush and he gave us a very reasonable deal. see my post to RNO in answer to his question at 19:03 on july 14.
i’m very pleased with weston aka wwilliams to say the least. the new tent ‘oasis’ has shaped up quite well. a few more little adjustments like the one you pionted out and wa-la its a ‘take’ as they say! our planing is to send the bulk letter either tomorrow or friday. one of the items is to set it up as a bulk emailing. we have about 90 on the list. Better than a pair of shoes I suppose. My only hope is it takes her a few months to figure out how to post. Have a question for you. Over at the old Tent to refresh the posting page all I had to do was go up to the headline Posters Paradise and click on it. So far the only way I have found to refresh is go up to the top toolbar, which is a couple inches more I have to move my mouse and click the refresh icon. You have a better way? Trying to teach a old dog new tricks, I know. Might as well add set in my ways too. But I like the new place. Figure in a year or two I will get the hang of it. Kinda irks me some that buygold seems to have it figured out and even beat me here. Guess there is something to be said for taking so many naps. Must have come to him in a dream. Awww….did you just have too? It was such a lovely, quiet, peaceful pond you had (past tense) here. And Floridagold had stocked the pool well. It was good while it lasted. Darn, even had coffee made this morning. Guess I better go find my lily pad bomb shelter before ‘she’ comes to terrorize. Congrats! Hope to see AuGirl soon. i just extended a pre official letter cordial invite to of all others…. Are the crooks getting nervous? The dollar hasn’t budged from its top spot for the past three decades, withstanding repeated efforts to unseat it. Almost 90 percent of the $5.3 trillion a day in foreign-exchange transactions last year involved the dollar, the same share as in 1989, data from the Bank for International Settlements show. More than 80 percent of trade finance was done in dollars in 2013, according to Swift, a global financial-messaging network. A week after the BNP Paribas plea, French Finance Minister Michel Sapin urged European governments to promote the euro more in international transactions. While he said he wasn’t fighting “dollar imperialism,” his comments echoed those of predecessor Valery Giscard D’Estaing, who coined the term “exorbitant privilege” in 1965, referring to the benefits the U.S. received for the dollar’s status. Companies, consumers and central banks around the world prefer the dollar to other currencies, including the euro and yen, because they trust the Federal Reserve and the U.S. government to back it, according to Marc Chandler, the chief currency strategist at Brown Brothers Harriman & Co. Thanks Wanka, copy and paste worked good. Dad has two VA nurses coming out so will have to figure out all the new looks, bells, and whistles later. Looks Great ! farmboy …hey there brother you made it. disregard my emails and voice mail….you be here you be! believe I will just hop right on in. Place could use a lily pad or two. No problem, I think I can bring a few with me. buygold wait…..you said you were going to take a nap? open the passage way…make a hole as they say in the navy…farmboy is on his way!